It’s no secret that people enjoy giving other people unsolicited advice. I like receiving advice, but I’m careful about who I receive it from. Even then, I like to fact check, form my own opinions, and apply the advice to my unique situation. When it comes to money, blindly following bad pieces of financial advice can damage your financial well-being. Money can be confusing enough. But if you’re getting poor advice from parents, friends, or other resources, it can do more harm than good. I heard this one a lot during college. I knew I’d have to take out student loans but I wasn’t too worried. After all, people told me not to be. One of my co-workers at the time, and who I looked up to as a mentor, was going back to school at the university I planned to attend. When I told her I was considering an MBA program but was concerned about the cost, she told me to just take out student loans and have them forgiven. Most people finance their college education. However, it’s not wise to blindly rely on student loan forgiveness without carefully doing your research. I’m so thankful I didn’t go through with the program and take out additional student loans. I know for a fact that I wouldn’t qualify for forgiveness. While student loans tend to have much lower interest rates when compared to other debt, it’s still important to avoid borrowing more than you need and develop a plan to pay off your debt whether it’s long-term or short-term. If you’re currently struggling with paying off student loans, you may want to consider consolidating or refinancing those loans to pay them off quicker. Credible is a great option. They have rates as low as 2.54 percent and save the average person almost $19,000. Credible allows you to compare up to seven lenders at once and provides options within two minutes. When it comes to buying a new car, don’t fall victim to “shiny object syndrome”. It’s fine to appreciate well-made vehicles but if you don’t want to be a slave to car payments, you probably shouldn’t trade in your car every two years. This bad piece of financial advice was given to me by another co-worker during college. This woman was in her 70s and told me she traded in her car every two years for an upgrade. Cars are a depreciating asset and if you’re okay with having a car loan for the rest of your life, go for it. But it’s not necessary to keep trading out a perfectly fine car for a newer, “better”, and more expensive model. Think about what you could do with your money if you didn’t have a car loan. You may feel like you need to have a nice car or that since “everyone” has a car payment, you should, too. That belief keeps you from accomplishing other important things with your money. Instead of continuing the cycle of car payments, look for ways to save money when buying a car, buy a car with cash, or find other ways to avoid taking on a long car loan. This is bad financial advice a lot of people fall for. Credit cards are intended to help you build your credit score by showing that you can borrow money and pay it back on time. Unfortunately, many people get carried away. They overspend which causes them to carry a balance. When they receive their statements, they see a small $25 minimum monthly payment and feel it’s okay to only pay that. Don’t fall for the bait. Only paying the minimum balance on your credit card debt will cause you to drag out the repayment process and stay in debt longer. Not to mention, each month that you carry a balance on your card, you’ll have to pay interest. Credit card interest rates are notoriously high and that’s how those companies make money. If you’re going to use credit cards, use them wisely. Keep your utilization below 30 percent of your credit card limit at all times and pay the balance off in full each month. Personally, if I can’t pay something off in full that month, I don’t use a credit card for it. A credit card is a tool; it’s not free money. If you’re currently struggling with paying off credit card debt, there are options to help you pay them off sooner. The best way to do so is by consolidating your debt to help lower the interest rate so more of your payment goes towards the debt and not interest. Payoff is one great option as they help you slash your rates by half, or more, so you can pay off debt faster and pursue financial freedom. I still hear this from some family members and it’s just bad money advice. Owning a home is a key part of the American dream. Yes, there are many perks to becoming a homeowner, but it doesn’t necessarily mean that it’s better than renting. For instance, when you do the research, you may find that renting may actually be cheaper in your area. The true cost of buying a house can cost you a lot of money when you factor in the mortgage, interest, and taxes plus the costs for maintenance and repairs. Not to mention, homeowners have to stress about issues that renters can just get a landlord to sort out. Homeowners also can’t jump up and leave town to accept a job offer or once-in-a-lifetime opportunity without first deciding what to do with their house. If you’re renting, you have more flexibility in that aspect. If you’ve been reading this blog for some time, you know that this is simply bad financial advice. So many Americans are unable to retire when they’re ready because they don’t have enough money saved. If you start saving for retirement early, you have a better chance of reaching financial independence sooner rather than later. Yes, investing can be difficult but it’s generally only as difficult as you make it. There are many ways you can educate yourself about investing for free through your 401(k) plan or online sources. And don’t forget that you can start saving for retirement with little money. In fact, you can start with as little as you want in certain circumstances. If you are going to contribute to a retirement account, beginning early provides enough time for your investment contributions to compound and allow your money to start working for you. It’s unfortunate when bad pieces of financial advice keep getting circulated. You can help break the chain by educating yourself about money and doing your research. Don’t just believe everything you hear. Take the time to learn how things work so you can make educated decisions and apply advice that will actually help your situation. What are other bad pieces of financial advice you’ve heard? What bad money advice have you fallen for in the past? What area of personal finance bothers you the most when it comes to money advice? 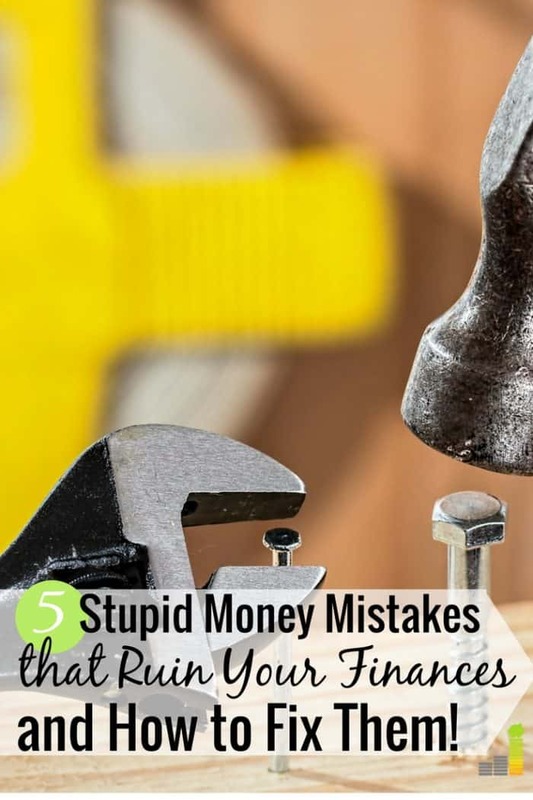 The post 5 Bad Pieces of Financial Advice You Need to Run From Now appeared first on Frugal Rules.